Are you trying to find out a luxurious and affordable party bus for your upcoming event? 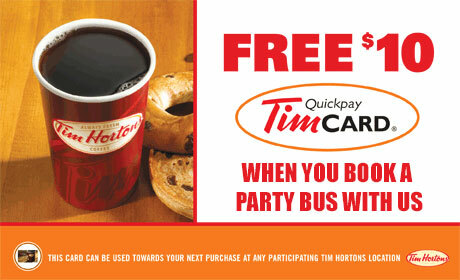 If your answer is positive then the Premium Party Bus Toronto is definitely the best option for you. Our company has never compromised the safety and quality of our limo and party bus rides. Working with a tremendous track record of satisfying the client base with highly exquisite party bus rental services, our company attempts to set new trends in limo bus transportation and hospitality industry in Toronto. A decent range of Limousines and Party buses, Shuttle buses, SUV’s Lincoln Town cars, and Tour buses are fully upgraded and available 24/7 at our company's fleet. Furthermore for acute customer support, we have made our entire fleet online as well. Plan your upcoming events with the Premium Party Bus Rentals in Toronto and get a chance to experience an innovative fusion of luxury, fun and sophistication. We are a highly experienced and dedicated group of professionals, striving to set new trends in the ground transportation industry. We can plan your events in a flawless manner by retaining the real party essence. Customers across greater Toronto area can hire our gracious limo and party bus rental services for all types of parties and celebrative events. 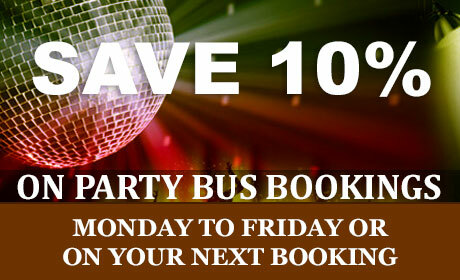 An endless episode of fun and fulfillment is guaranteed in all our party bus rental packages. Such opulent and sublime services are offered in amazingly affordable rates so that everyone can enjoy the special occasions in a distinctive way. From wedding parties to prom celebrations and from bachelor parties to business gatherings, the Toronto Party Bus has a wide network of resources that can supplicate such exclusive travel demands across Toronto. The theme, interior décor and seating arrangement can be completely customized according to the number of passengers and nature of the event. We highly encourage the clients to negotiate each and every requirement so that we can utilize our expertise and resources for bringing some of the most suitable and comforting travel options. We have preserved the customer services hallmark across Toronto with our eminent policies. Get an alluring party on wheels setup for your privileged guests by hiring our quality services. Every limo and party bus rental package is fully supported by the uniformed chauffeur services that are ell-versed and professionally competent in their duty. For availing these perks and advantages, give us a phone call and get your reservations now. We promise to supplicate your demands on priority bases. Prom is delightful event where high school students come together to bid farewell to their fellows and begin a new chapter of life. Prom is all about friends and chums and party buses are ideal for moving around the town in a much voguish and classy way. Premium Party Bus Toronto is proud to be the finest supplier of luxury party bus rental service in Toronto. 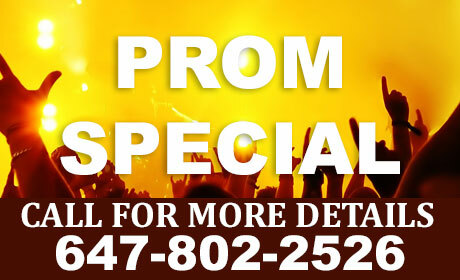 We have been making prom nights extra special with our superlative transportation service. Parents love us for being a responsible party bus rental provider for proms as we employ certified and trained drivers and track vehicles so that safety and security of the passengers is ensured to the maximum. We make the search for the perfect ride for your Bachelor Party simplified by presenting to you an easy and straightforward procedure to reserve deluxe buses. For years we have been the most trusted and reliable source for renting premium class party buses for extraordinary occasions and bachelor parties. We understand the needs and desires of the younger generation and thus have designed our deals to make the teen lot truly contended and pleased. We have various packages available each with a specific number of hours, seats, features, and price. Our drivers are trained to take the passengers with ultimate comfort to their desire destination. Look no further for a grand wedding day ground transportation service and plan your big day with Premium Party Bus Toronto to get the best services in town. We are a specialized and dependable limo and party bus rentals company, determined to create enormous wedding day transportation possibilities for the clients across Toronto. Regardless of your destination and number of passengers, our deluxe services can professionally accommodate such demands. Our phenomenal limo and party bus services are fully backed by the private uniformed chauffeurs who are competent enough to maximize the travel experience of the valued clients in a signature VIP style. Whether one demands a classic limo or party bus for honeymoon, or mini bus for the guests, we have at it all packed into inspiring deals and packages with attractive features and bunch of entertainment options. Our courteous staff is professionally trained to deal with the clients and make plans mutually to select the perfect ride for the big day. We can tailor the deals upon request to best fit the plans and budget of our clients. We strive to bring perfection to each of our service that is why for years we have been the most favorite provider of exceptional wedding buses throughout Toronto. Dressed in impressive attires, our chauffeurs are well accustomed to all areas in the city and will make sure you reach your venue safely and on time. Red carpet is rolled out for the couple at the time of arrival at the wedding venue to let them feel like a star. 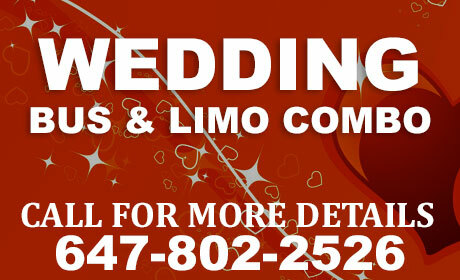 Call our representative any time to get details about vehicle availability and pricing and select the best limo bus for your special day of wedding.